The impact of Hurricanes Irma and Maria on the strong motion and seismic network throughout the BVI is being examined this week. 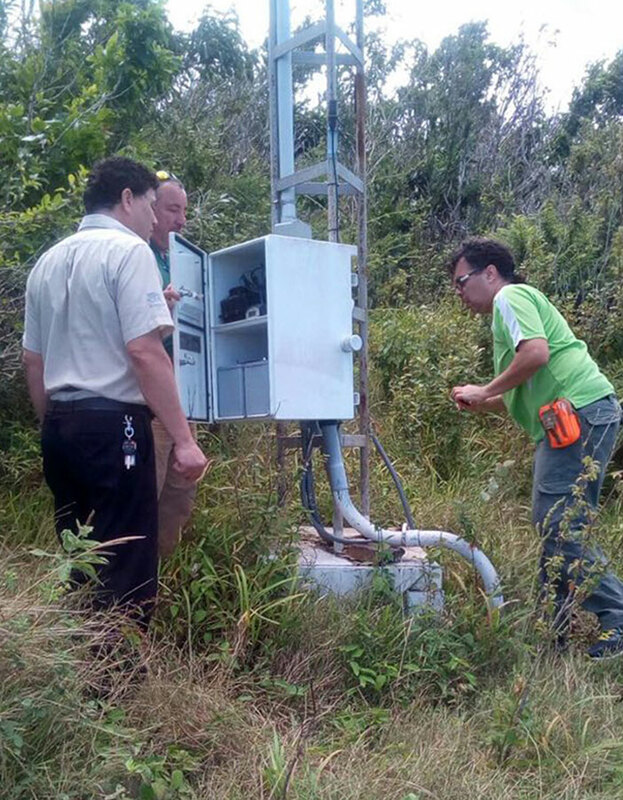 Director of the Puerto Rico Strong Motion Programme at the Department of Civil Engineering and Surveying of the University of Puerto Rico at Mayaguez Professor Martinez-Cruzado, is leading a team of engineers to conduct the exercise. Professor Martinez-Cruzado explained that the relationship between the BVI Government and the University of Puerto Rico at Mayaguez started in 2005 with the signing of a Memorandum of Understanding and that it has been a mutually beneficial relationship since that time. The professor pointed specifically to the extensive damage seen to vehicles that were not seen in Puerto Rico along with damage to boats, the extent of the impact to roofs, and openings and the total collapse of many structures including electrical posts, ports and water tanks. He said the enormous devastation in the BVI following the passage of the hurricanes opens tremendous opportunities for everyone to help each other. Professor Martinez-Cruzado spoke about the recovery efforts he has seen on the grounds, “The progress of electrical restoration has allowed us to verify that a couple of seismic stations recorded the vibration caused by high velocity winds on the structures and from debris hitting the seismic stations. However, there was significant damage caused by the incredibly strong winds to solar panels, antennas and other external components which now have to be replaced,” he said. The team visited locations on Virgin Gorda, Jost Van Dyke and will complete the inspection of various sites on Tortola before they head back to Puerto Rico at the end of the week. They will also work with the Department of Disaster Management to establish a plan for the restoration of the damaged equipment in the coming months. 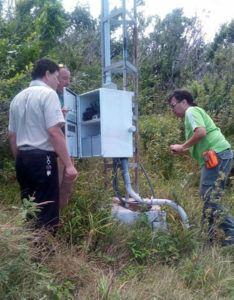 The university has supported to the BVI Government in the area of seismic monitoring for many years by providing equipment, maintenance, data capture and analysis for earthquake events. Both countries share seismic faults that need to be closely monitored. The cost for the restoration will be financially supported by the Government of the BVI in the amount of $122,000 to establish the most critical units. The installation costs will be handled by the team which will comprise Professor Martinez-Cruzado, Jaffet Martinez and Erick Santana.